Hiring a party bus is considered as the best option for you if you wish to celebrate the milestone of your life which can be anything from birthdays to bachelor’s party, prom night and family reunion. A party bus rental is the most enjoyable way of spending time with your loved ones because when you hire a party bus, you have the option of endlessly customizing the space according to your tastes and preferences. It is the most fun way of celebrating any occasion to the fullest as you have the freedom of deciding on the theme, décor, food, guests and style of the party that you intend to throw for your near and dear ones. Moreover party bus is for big group of people which can accommodate up to 40 people in the bus so that everyone can travel and have fun together. There are many attractive facilities that are available in the bus which includes awesome sound systems, laser lights, dance floors and wet bars. Thus you can hire a party bus if you want to enjoy yourself with a big group of people but for this you will need to find out What Things to Bring on a Party Bus to Make Sure You Have a Good Time. 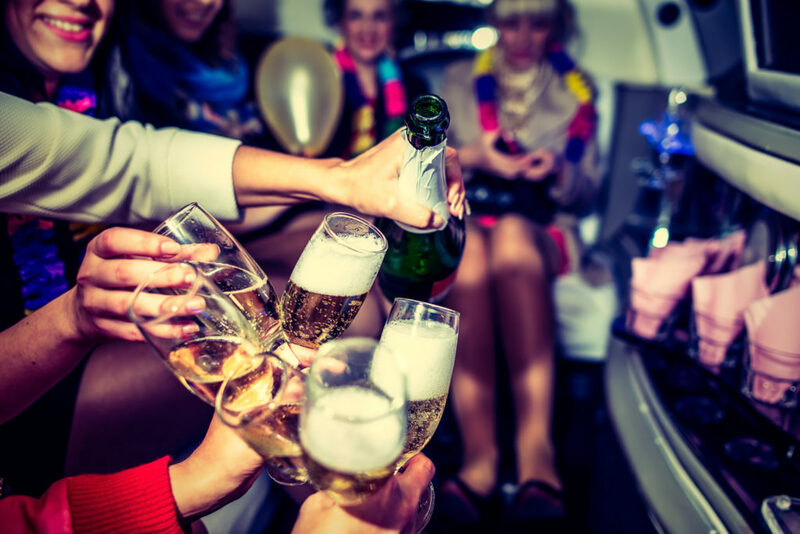 If you are using a party bus for any occasion and wondering What Things to Bring on a Party Bus to Make Sure You Have a Good Time then you need to compile a list of items that is needed while traveling on this fun mode of transportation. The most important thing that you will need is different music options because a party will not be complete without good music. Thus you will need to bring along MP3 player, CDs and auxiliary cord for supplying music to everyone present in the party. Moreover when you have enough music option for the entire trip, you will not have to worry about ending up playing any limited number of songs repeatedly. Selecting the best music is the duty of the host and hence you can select the songs that you want to play during the bus ride. You also have the option of decorating the bus according to your tastes and requirements so that the party bus will look decorated and you will determine the theme of the party while decorating the bus. Hence you can use different decoration items like balloons, streamers, signs and other decoration materials. When going for a long ride, it is always advisable to have a stock of some beverages that will be of great help during long rides and for this you will need to ask for permissions from the rental company regarding carrying beverages in the party bus. You will also need to plan the number of drinks that you want to provide you each rider so that it will become easy for you to decide the amount of bottles you will need throughout the journey. Moreover you can also have energy drinks and soft drinks for underage riders and make sure that the rest of the riders are of legal drinking age so that you will not face any issues later. You can also opt for different cocktail options during the party and make arrangements for the different drinks that you will need to bring along with you. Having a adequate amount of food is also very important if you want to have fun on the bus party and thus you will need to have meals along with snacks and appetizers so that your guests will have an enjoyable time during the entire ride. The food menu should be decided according to the tastes of the guests and you need to plan out the time during which you will give food to the guests present in the bus. Most importantly don’t forget to have ample water as it is important especially if you are having a long ride so that your guests will not face any kind of inconveniences. You will need to have all the plates and glasses for serving foods and drinks to the guests so that the entire party will be the most enjoyable affair for your loved ones. If you are in the NYC/NJ area and want to take advantage of the best deals on Party Bus Rentals, contact us now!